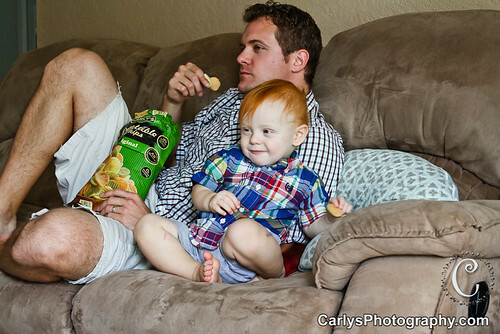 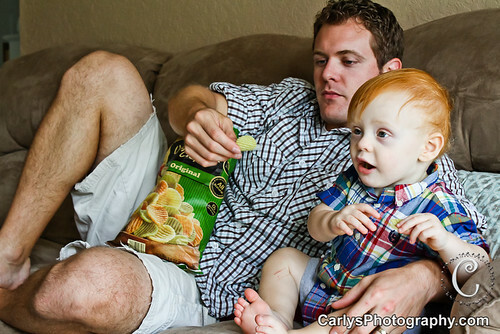 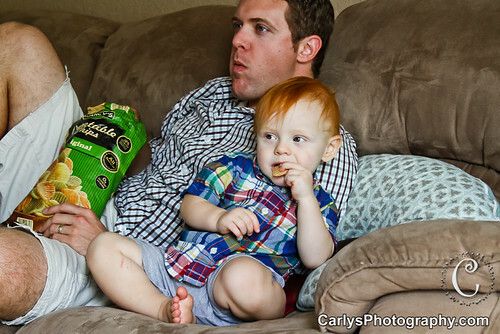 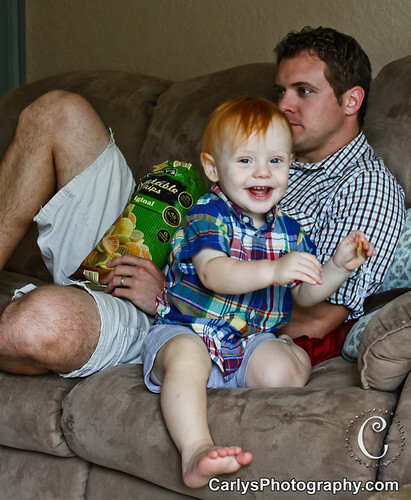 Kyton and daddy watching football together and eating (veggie) chips. 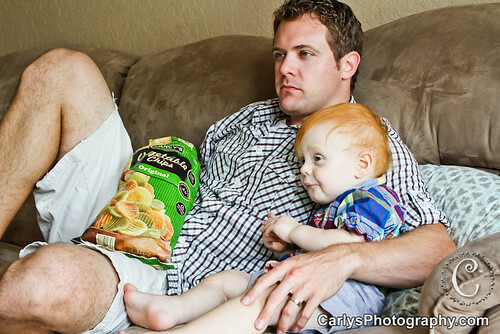 Don’t let this image fool you. 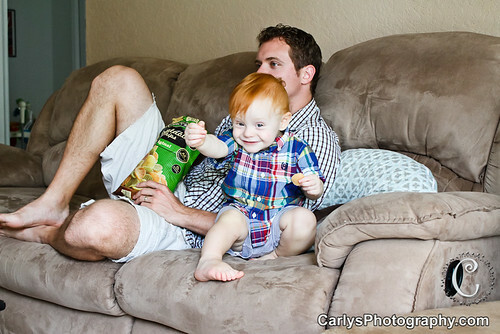 This moment lasted about 2 minutes before Kyton was running around like a crazy man and getting into everything.